Whether you’re in need of tyres, MOTs or servicing, throughout Central England you can rely on Mr Tyre to meet all your needs. Since 1971, we’ve been the premier car garage of choice for drivers across the country, and now you too can benefit from our expertise and friendly services. 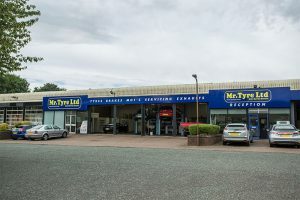 Mr Tyre are an independent business, meaning we’re able to find and offer to you the very best deals on vehicle products. We aim to provide the highest quality products and services at the most competitive prices. As such, you can rest assured that our top priority will be your complete satisfaction and peace of mind. As one of the leading tyre suppliers in Central England, we aim to provide our customers with as much choice as possible, from budget tyres for affordability, to performance and premium tyres from leading manufacturers such as Uniroyal, Dunlop and Goodyear. We will facilitate the entire process, from discussing your requirements during your initial contact, to supplying and fitting the most suitable type and size of tyre at our purpose-built tyre centre. 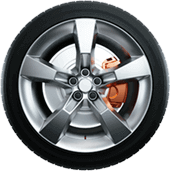 To find out more about any of our specialist services, be sure to contact our friendly team of tyre fitters today for sound, honest advice. We’re always happy to help.